Volunteers with a passion for mentoring youth are the backbone of the Power of Hope Camp experience. Our camps have a 1:2 staff to youth ratio thanks to our dedicated corps of volunteers. This special experience for youth would not be possible without you. If you would like to volunteer at Power of Hope Camp, please complete the online application. Please note that becoming a Power of Hope volunteer is becoming increasingly competitive. This camp is unique in that is it based on the Creative Empowerment Model. While not a requirement, it is advised that volunteers take Creative Facilitation training and gain experience with the Creative Empowerment Model prior to applying. Creative Facilitation training schedules can be found on the Partners for Youth Empowerment website. Power of Hope Camp has a small paid staff of highly skilled lead facilitators, teaching artists, camp managers and chefs. Everyone else comes as a volunteer. As a volunteer you’ll have the benefit of expanding your skills and receiving experiential training in using arts with communities. Volunteers help create a fun, supportive atmosphere where everyone’s voice is heard and respected. Many volunteers have testified to the transformative experience of working at Power of Hope Camp. We make decisions about volunteers by April 30th. If you need to know earlier for your summer planning, please let us know. 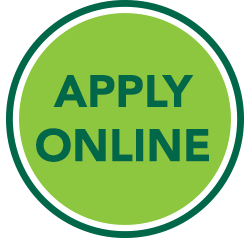 Applications received after April 30 will be processed on a space-available basis. Staff are required to be onsite from July 27 – August 4 starting with the mandatory staff day on July 27. Staff are asked to arrive to the site no later than 10am on July 27. 10am – 12pm will be time for settling in and setting up your camp area. Staff orientation will begin at 12pm. You may arrive to the camp site as early as July 26. To start planning and to develop community among our staff, our lead staff will coordinate a video call approximately 1-month prior to camp. All staff is encouraged to attend. We will also set up a closed Facebook page for staff to coordinate transportation, workshops, etc. prior to the staff day. Please note – if you are coming from outside of Washington state, you will be required to submit a copy of your Criminal Background Check to: PYE/POH, PO Box 1481, Langley, WA, USA prior to the camp start date. If you have questions about volunteering, please contact helena@partnersforyouth.org.